Crash Bandicoot is back! Activision and Sony are celebrating the 20-year anniversary of the beloved Crash character with his appearance as a guest star in Skylanders Imaginators. The Skylanders Imaginators: Crash Edition empowers fans to create their own Skylanders and offers players immense possibilities -- including appearance, powers, abilities, name, catchphrase, musical theme and much more -- to make the wildest Skylanders imaginable. 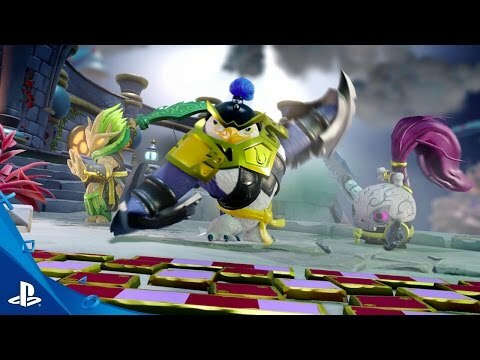 In Skylanders Imaginators, Crash returns as a Sensei Skylander, who provides unique benefits in the game. Activision is honoring the heritage of Crash in his new role as a Skylander with a full move set and upgrade path based on his trademark spin attack, as well as exploding crates with 3-2-1 countdowns, wumpa fruit and even his yo-yo. Fans of Crash Bandicoot will love seeing him in an all-new adventure as he battles through Skylands in gorgeous high-resolution graphics.